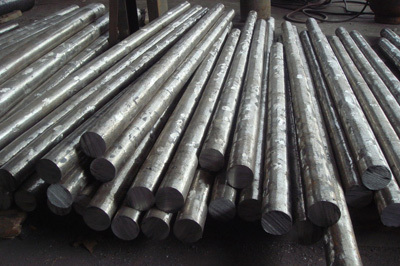 Wear Resisting Toughness Chrome Steel – D2 | OM Forging and Engineering Pvt. 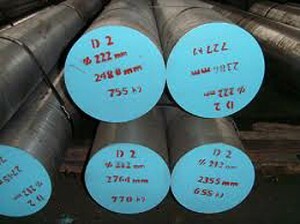 Ltd.
D2 Steel is more purified through vacuum degrassing. 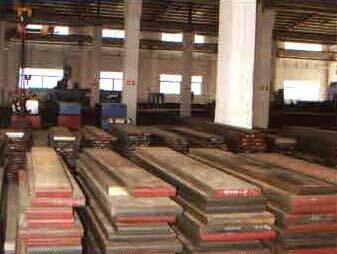 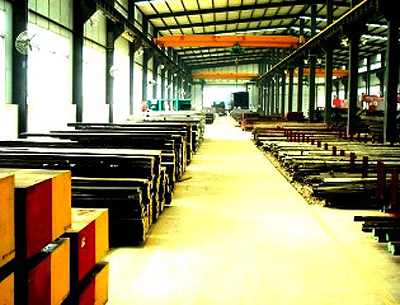 The spheroidized annealing makes it easily processed by shearing and cutting with no quenching cracks. 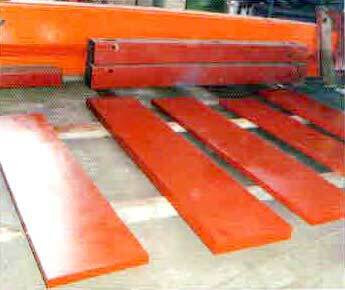 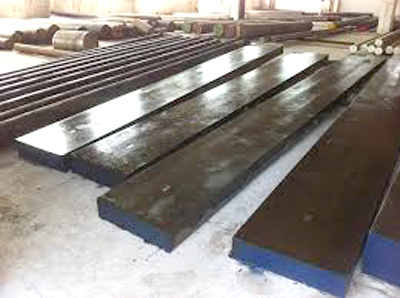 It provides an superior abrasion resistance and toughness. 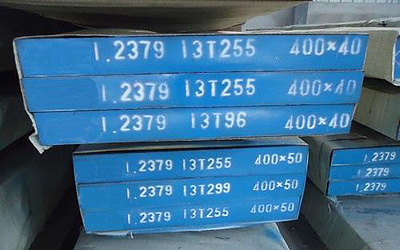 It is widely used in less than 2mm thickness of flats, rolls, punches, dies for blanking, forming, trimming and thread rolling, shear knives, food-processing knives, and gages. 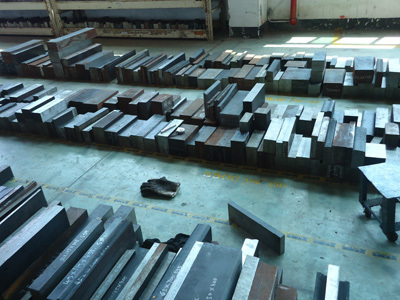 Cutting, punching, stamping tools, shear blades, thread rolling dies, cold extrusion dies, drawing and bending tools, flanging and straitening tools, fine cutting tools, deep drawing tools, drill bushes, coining dies, plastic moulds for abrasive polymers. 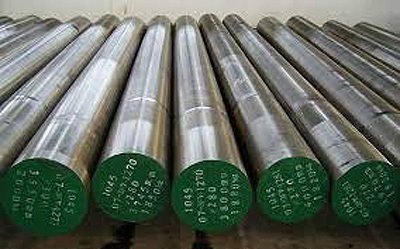 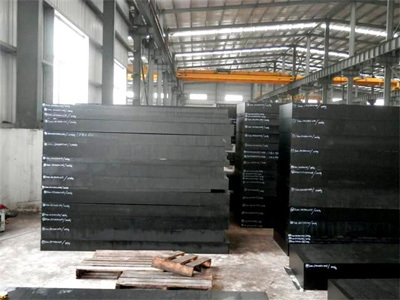 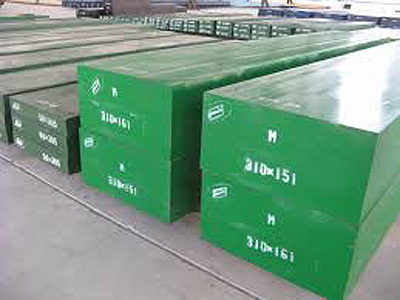 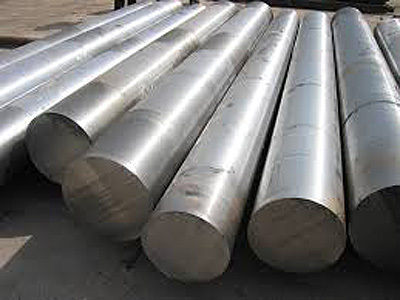 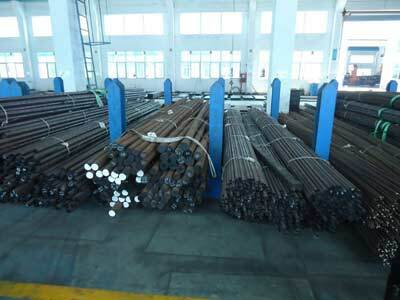 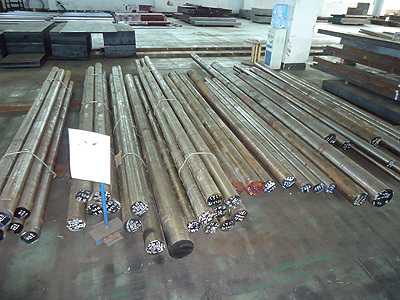 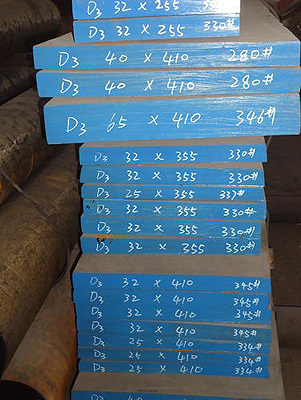 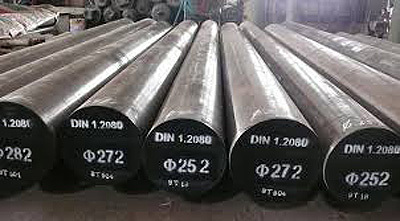 D2 Steel has high resistance against abrasive and adhesive wear due to a high volume of hard carbides in the steel matrix moderate machinability, good dimensional stability, toughness and through harden ability. 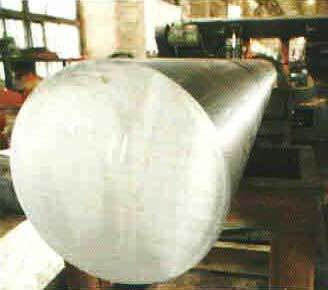 Harden from a temperature of 1000-1040 Celsius degree followed by oil, warm bath (500-550 Celsius degree , cooling bath or air. Hardness after quenching is 62-64 HRC.